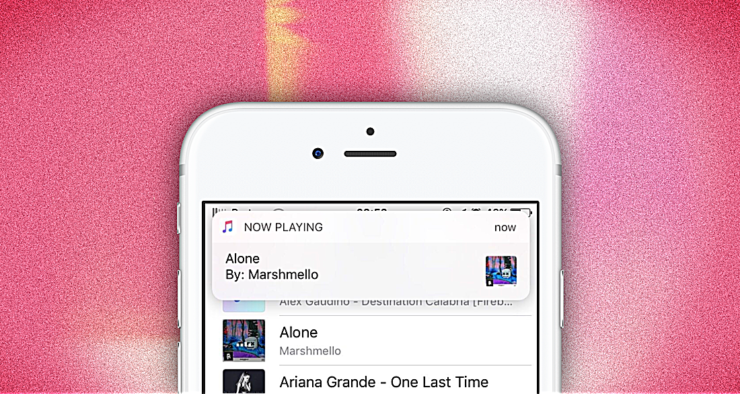 A new jailbreak tweak, called NotifyMusic, will display a banner notification whenever the next song plays on your iPhone. Whether it’s Spotify or Apple Music, it’s always good to know what song is currently playing. You can do so without launching the app itself directly from Control Center or the lock screen. But, it’s not exactly convenient as you have to go through a tiny routine of taps and swipes in order to get things done. Thanks to a little jailbreak tweak called NotifyMusic, things take a drastic turn for the better. As the name of the tweak suggests, it will notify you whenever a new song starts playing. But it will notify you in the slickest manner possible: using banner notifications. So, for instance, as soon as Drake’s Hotline Bling starts playing, you will immediately get a banner notification about it along with the album art. If you are having a hard time digesting what we are trying to say here, then check out the screenshot above. For a lot of users out there, this little jailbreak tweak might not sound like much. But it’s a neat little touch which many users out there are going to appreciate. And the cool thing about it is that the tweak is absolutely free to download and use. Just head over to the BigBoss repo and you can kick things off from there. Once downloaded and installed, there are no options to configure at all. You are ready to go at a moment’s notice. Just blast those tunes on your iPhone and you will start getting notifications whenever a new track comes along. According to the tweak’s description page in Cydia it appears as though the tweak is currently only compatible with iOS 10 and the stock Music app as well as Spotify. There is a chance that compatibility might be extended to other services as well in the time to come. Till that happens, you will get notifications for songs that are currently playing through the Music app or Spotify.